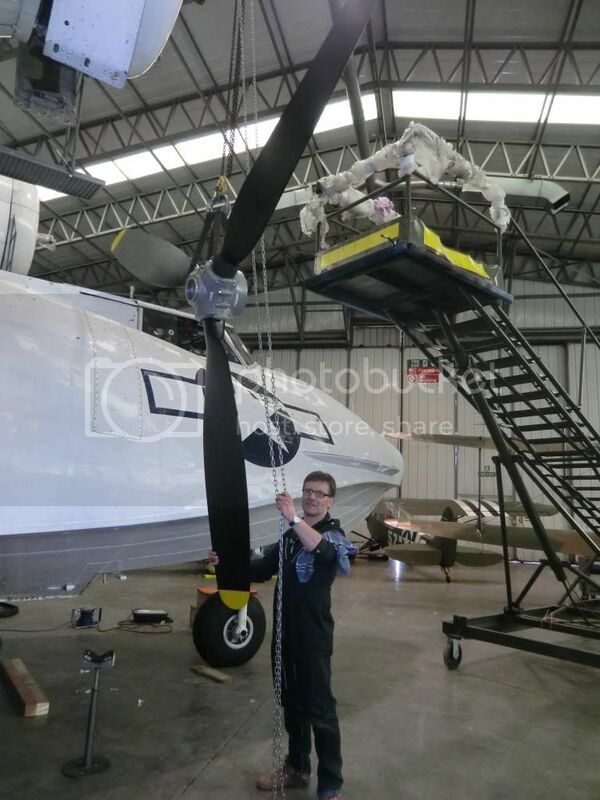 Plane Sailing's Duxford, UK-based G-PBYA took a major step towards the 2013 display season on Friday when its lovely refurbished props were hung back on their engines. We use the original A-frame boom attached to the front of the engine and the wing to support the hoist. 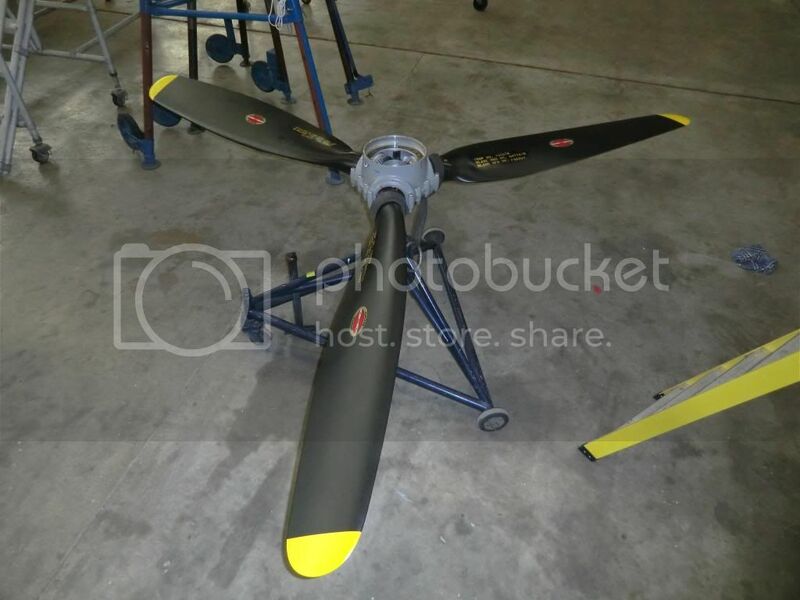 At 500 lbs each prop assembly you do it carefully but engineer Garry Short has done it many times and knows what he's doing! Mr Legg just did as he was told!! The nice shiny starboard unit on its trolley ready to be hoisted. 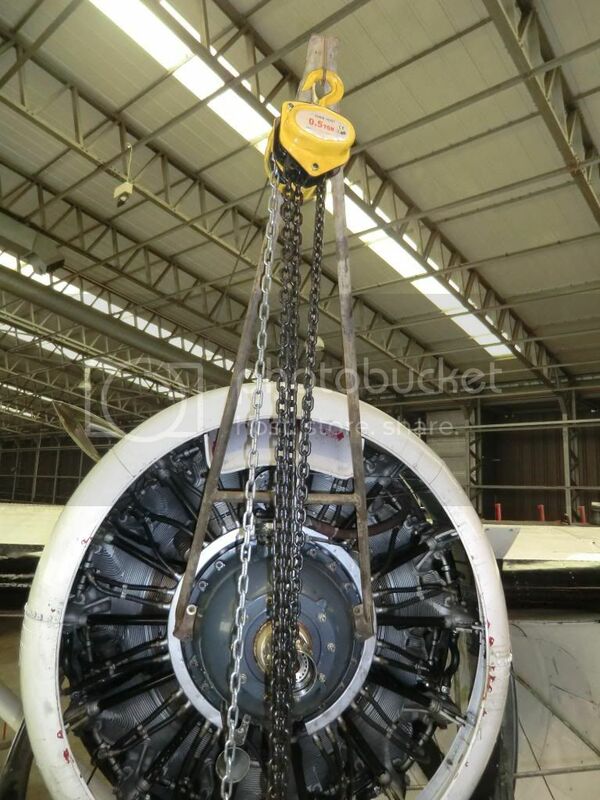 It's always great to see maintenance work processes and to have updates on 'YA. Those sure are purty ...... so nice & shiny new. Don't ya just love hanging props, such a nice easy clean job ..... uh, not ! Well Done Mr. Legg, Well Done. let's have another great year with the Big Cat. For those of you in and around London on Thursday evening (May 9th), there is a planned fly past to celebrate the 70th anniversary of the Battle of the Atlantic. The flypast will be headed by a FAAM Swordfish followed by a selection of RN helos and Catalina G-PBYA will be behind them. The current plan is that we will fly into Biggin Hill from Duxford at around 16:45 and join up with the RN contingent. We will take off from Biggin before 19:00 and around that time hold in the Eltham area before following the helos out over Greenwich then up the Thames. We will then turn south upon reaching Westminster Bridge and head back to Duxford. Plans subject to change and weather of course.